Anywhere you look, you can find the best of something. The best restaurants, the best shops, the best cafés, there’s even lists for the best grocery stores. But how reliable can these lists be? After all, anyone can put anything on the internet deeming it the best. And these people aren’t experts—they just think they are. That’s why our readers’ choice awards are some of the most trusted in the industry: because you decide who should be recognized. As usual, this year includes some notable repeats and some delightful newcomers. Congratulations to both our winners and runners-up! 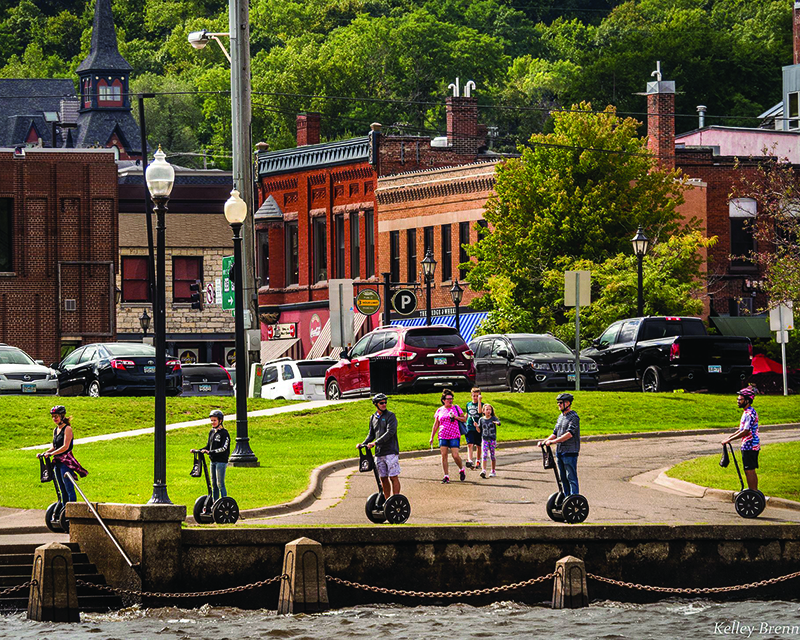 For the third year in a row, Discover Stillwater finds itself in the top spot for Best Convention and Visitors Bureau (Town/ Area Less than 25,000 in Population) made even more impressive by the CVB’s size. Christie Rosckes, marketing director, works alone with help only from a part-time assistant. “We’re small and mighty, but very efficient,” says Rosckes. “We still offer great service and direct visitors to cool things our city offers.” A big plus that the CVB introduced last year is 360-degree photo tours of all the city’s venues. Meeting planners can view these spaces without even leaving their desk. Talk about efficient. With the help of the work of Meet Minneapolis, the Minneapolis Convention Center wins Best Convention/Conference Center. Conveniently located downtown and connected to a number of skyways, the center is an ideal place for groups of all sizes to host their meetings or events. 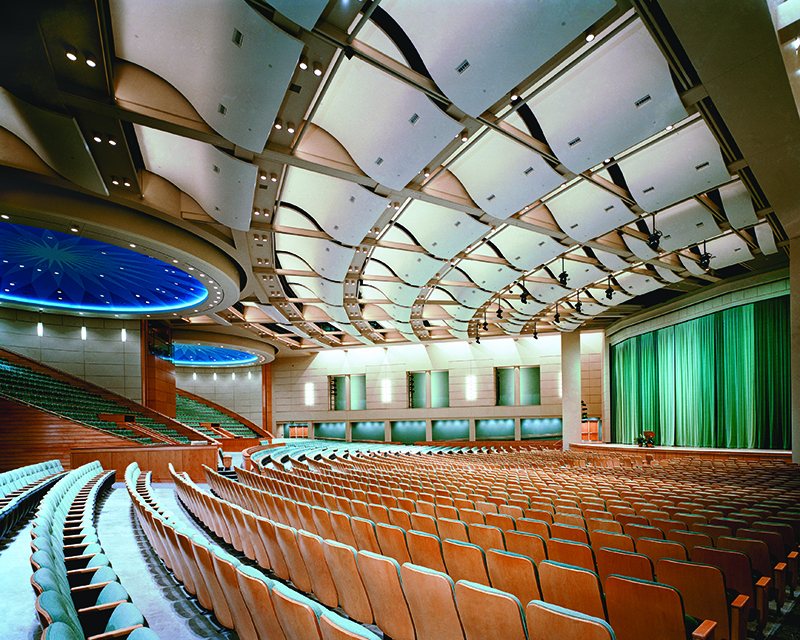 There are 475,000 square feet of exhibit space, 87 meeting rooms, a 28,000-square-foot ballroom, a 55,000-square-foot ballroom and a 3,400- seat auditorium. Last year’s events included a “Harry Potter and the Chamber of Secrets” live orchestra concert and film screening, the National Sports Forum, dance workshops, job fairs, the annual auto show and much more. Talk about historic. 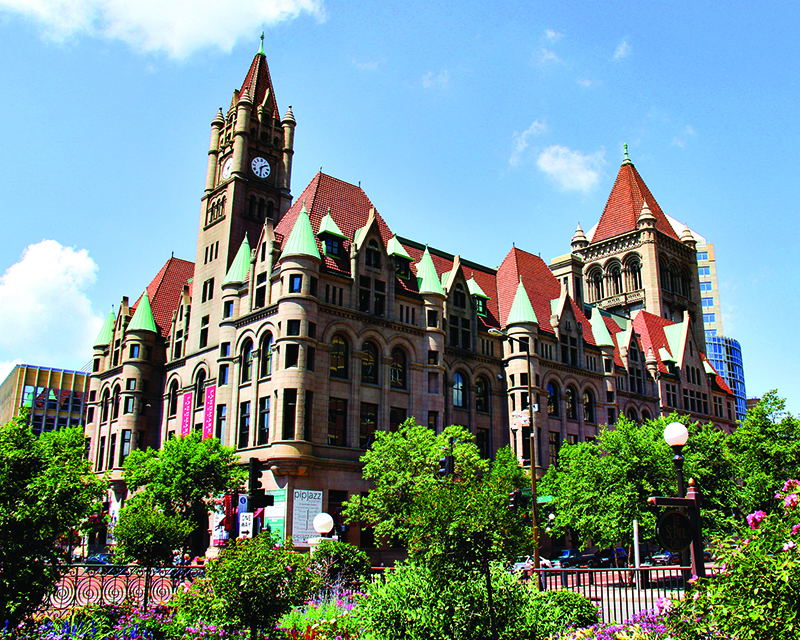 Landmark Center, which fittingly wins Best Historic or Cultural Venue, was built in 1902. Originally it served as a federal courthouse—where many “gangsters” were tried—and post office. Now it’s a cultural events center and can be found on the National Register of Historic Places. It also hosts art exhibitions and is open for history tours. Groups from 20 to 1,000 can host events in six spaces (or the entire building), many of which boast gorgeous marble, high ceilings and intricate details. A staple in the Minnesota hotel scene, the 107-year-old Saint Paul Hotel wins Best Hotel with Meeting/Event Space (Less than 300 Guest Rooms). The hotel, which has hosted notable guests such as President John F. Kennedy and Charles Lindberg, boasts 14,000 square feet of meeting and event space spread out across nine spaces that can hold anywhere from eight to 320 guests, depend - ing on configuration. This year’s Best Meeting/Event Venue (No Hotel) is perfect for the outdoor lovers. The Minnesota Landscape Arboretum lands the top spot for the first time. And we’re not the only one recognizing its beauty. It was named No. 1 by the USA Today’s Reader’s Choice “10Best Botanical Gardens” for its 1,137 acres of unfiltered nature. Seven indoor spaces (including two auditoriums) can host five to 375 and an outdoor picnic shelter is perfect for 80 guests. Sixteen separate gardens can host 50-300 guests. And, of course, there’s the conservatory which can hold 25 guests or less. When you’ve been serving steak since 1946 and still have patrons clamoring for your food, you know you’ve got something good going on. And there sure is a lot of good at Murray’s Restaurant in Minneapolis, which you recognized as Best Restaurant with Private Dining Space. Its private dining room is separated into a front and back room, with space for 20 and 26, respectively. The two can be combined to host events for up to 50. 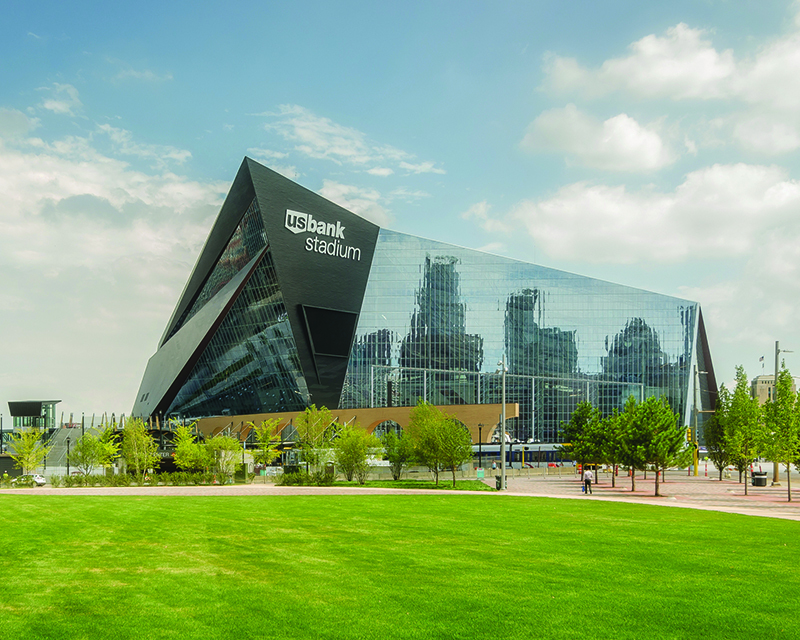 There probably is no shock that U.S. Bank Stadium wins Best Sports Venue (its second consecutive win in the category). Minneapolis’ shiny new stadium showed itself off in Super Bowl LII this past February. The multipurpose facility, with space for 100-70,000 people, has a number of indoor options, including renting the entire field or entire stadium. There are also three outdoor spaces—the Medtronic Plaza, the Downtown East Plaza and the nearby green space called The Commons— allowing guests to soak in all of Minneapolis while still partying in Minnesota’s hottest new sports venue. This year, we added the Best Brewery/ Distillery/Winery with Event Space category, and Surly Brewing Company has taken the honors of being the very first winner. 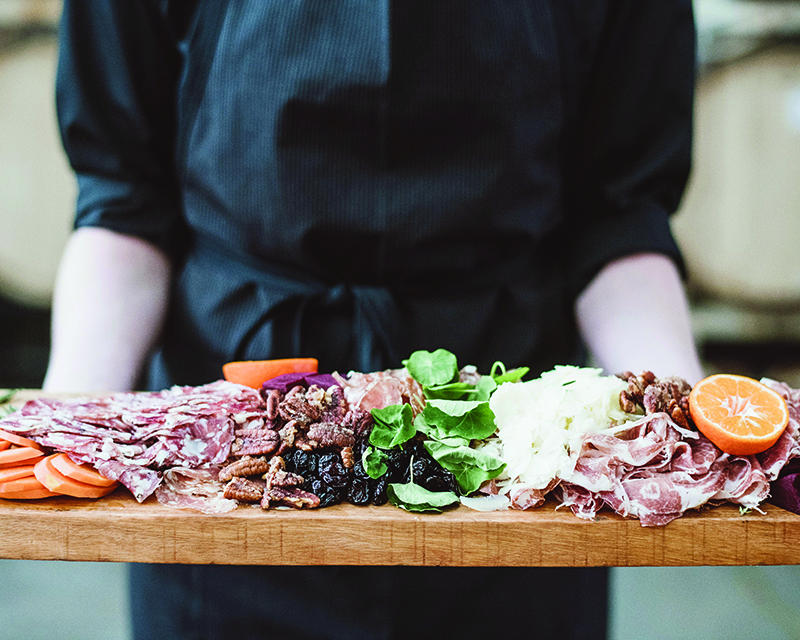 “Surly really provides the all-encompassing Minnesota craft beer experience, from the second you walk in the door to the staff interacting with you on a tour or eating food and drinking beer,” says Andrea Graham, senior events and brand experience manager. “When you’re here, you feel like you get lost in your own beer adventure.” Surly opened in 2006, while its 3,000-square-foot indoor/outdoor event space with room for 175 guests and a restaurant was unveiled in 2014. When traveling anywhere, you want to arrive in style. And that’s especially true during an event. That’s where Total Luxury Limousine Services, this year’s Best Transportation Provider, steps up to the plate. The 30-year-old company has everything you need from your standard limousine and bus rental to a custom ‘57 Chevy.